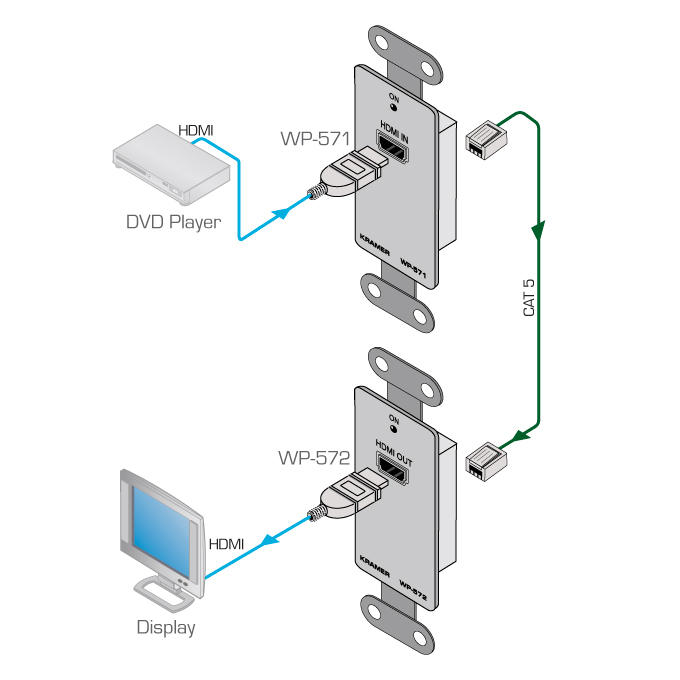 The WP-572 is a DGKat twisted pair receiver for HDMI signals. The WP-571 converts an HDMI signal to a single twisted pair signal and the WP-572 converts the twisted pair signal back to an HDMI signal. ON LED - Lights red when receiving power only, orange when either input or output and power are attached, and green when both an active input and output are attached. Power Connect System - A single connection to the transmitter powers the receiver. HDMI Support - x.v.Color, up to 7.1 Uncompressed Audio Channels.